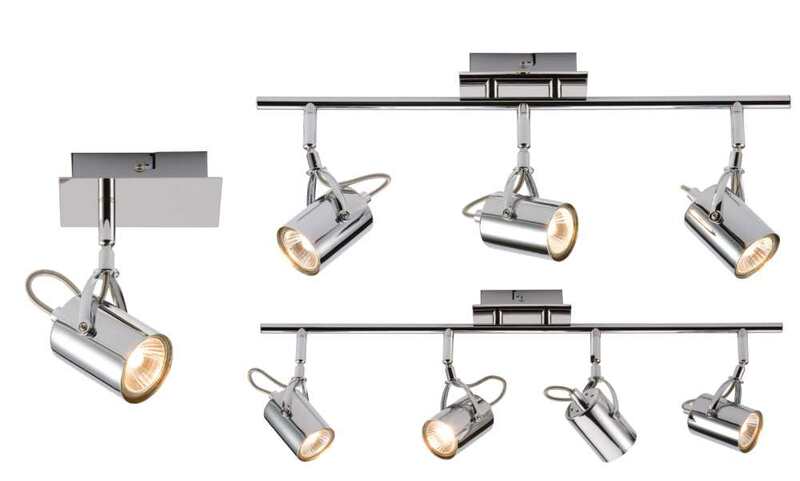 These new contemporary surface spotlights are ideal for most domestic, retail or commercial applications. The single unit can be mounted on walls making a perfect bedside reading light. Each head is fully adjustable with tilt facility. The range is also LED compatible (Retrofit size only). Finished in polished chrome, this range is the perfect choice for most indoor environments.